I woke up and that unmistakeable feel of a high filled my mouth. I changed my pump site and bolused. I headed to the mountain for courdoroy. Within 1 run I was low. I skied off to meet my friends. I skied and skied and skied and ate lunch and skied and skied and skied. I finished the day stupid high and bolused. I went off for a quick errand and couldn’t make it back before feeling low. 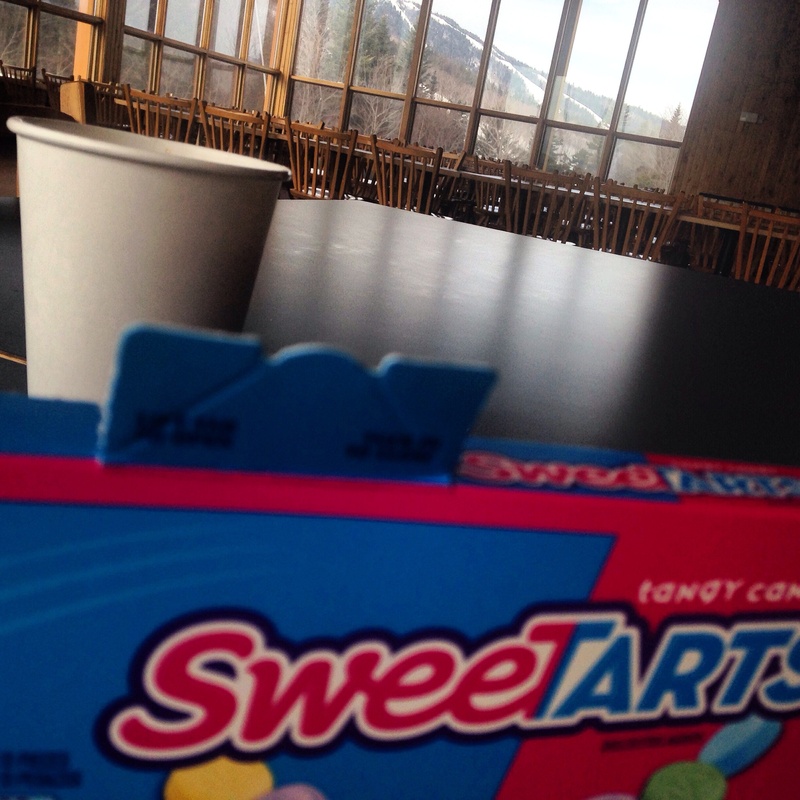 I ate more sweet tarts. I planned my dinner. Had some chips and dip. Realized getting in the car wasn’t a safe choice. Let my friend in who brought me food since I couldn’t. Ugh, sometimes I think I’d rather be stuck high or stuck low than to deal with constant ups and downs. Hope you’re feeling better. Sorry ur day was complicated w riding the glucoaster!! But I hope all the skiing made up for the stupid stuff!! I agree w Karen!! Riding up and dowm all thru out the day is worse than just being Hi or low.